"If after listening anyone says that perfection does not exist, then I do not know what could be better than that." "Your talent and wonderful sound is striking!" INGENIUM ENSEMBLE is a vocal ensemble of six singers from Ljubljana (Slovenia). The group was founded in 2009. In May 2014 they received the most extra prizes of the International A Cappella Competition in Leipzig – the audience award and the special award (presented by the host group Amarcord) for best unamplified a cappella group and the best performed unamplified song. In August 2014 they won the vocal group category and the renaissance category and got two first prizes in the international competition Polifonico in Arezzo (Italy). They also received the highest score of the entire competition. In November 2014 they won both, the secular and profane category and also received the public award in prestigious international choral competition in Tolosa (Spain). In 2014 they released their first musical album “Ingenium”. In January 2015 Ingenium Ensemble received the Golden Emblem for outstanding achievements in vocal music by JSKD (Public Fund of Slovenia for Cultural Activities). The ensemble mostly performs madrigals and motets from renaissance period, arrangements of Slovenian folksongs and new contemporary pieces composed by the young Slovenian authors. The main purpose of the ensemble is presenting rarely performed or even unknown masterpieces, promoting the young composers and growing in quality of the sound and performance itself. The Ingenium Ensemble singers are: Blanka Čakš (soprano), Petra Frece (mezzo-soprano), Blaž Strmole (tenor), Domen Anžlovar (tenor), Matjaž Strmole (baritone) and Žiga Berložnik (bass). 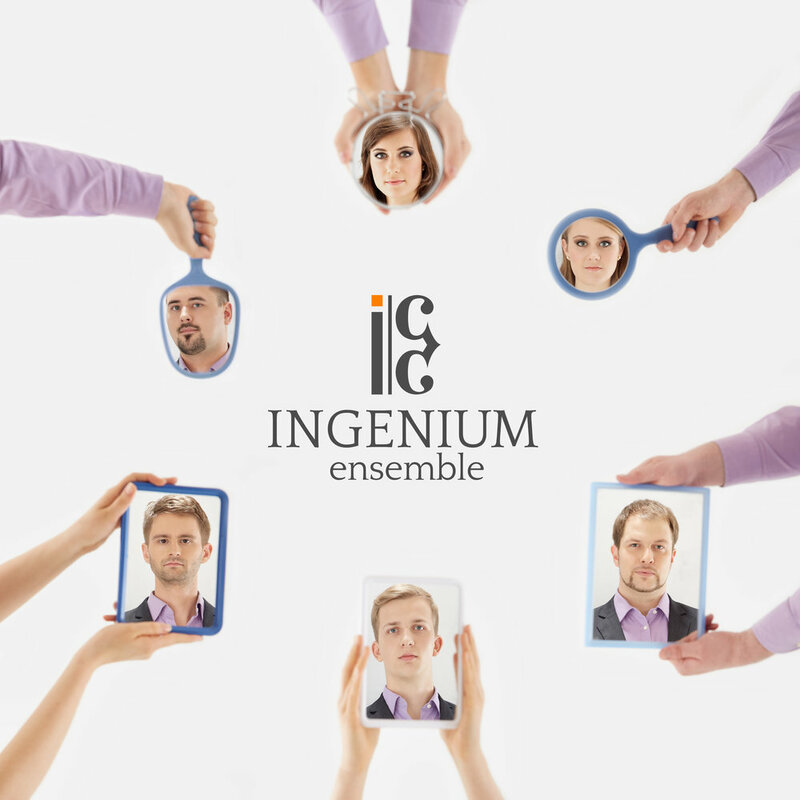 In January 2014 the debut album “Ingenium” of Ingenium Ensemble has been released. The CD was recorded in Slovenia in cooperation with Barnaby Smith, the artistic director of the renowned British vocal group VOCES8, who was in charge of both recording and production. The final phase of making the album was made in the Abbey Road studios in London. The album represents a selection of different types of music that represents the variety of their repertoire: Italian Madrigal with a combination of love and military theme (Giovanni Gastoldi: Amor Vittorioso, Giaches de Wert: M’ha punt’ Amor), exotic Portuguese villancico (Gaspar Fernandes: Pois con tanta Graça), German protestant motet (Heinrich Schütz: Die Himmel erzählen die Ehre Gottes) Latin motet by Slovenian composer (Damijan Močnik: Verbum supernum prodiens), Orthodox piece (Stevan Mokranjac: Njest svjat), English romantic song (Robert Pearsall: Light of My Soul), arrangement of the French medieval song (Blaž Strmole: L’homme armé), Slovenian folk song and arrangements on folk tunes (France Cigan: Domov v slovenski kraj, Hilarij Lavrenčič: Petelinček je zapiel, Matija Krečič: Vöra bije) and the arrangement of contemporary popular song (Billy Joel, arr. Phillip Lawson: Lullaby (Goodnight My Angel). "The group has everything: technique, privileged ears, touch, exquisite taste in choosing program and boundless musicality." Interested in hiring us? Here is our contact info.